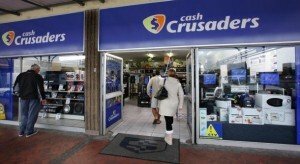 Cash Crusaders first opened their doors in South Africa in 1996 in Cape Town but today there are over one hundred and thirty stores located across the country and in neighbouring countries such as Namibia and Lesotho and stretching in to Botswana and Zambia. They retail directly imported new good as well as second hand items too which enables them to create a vibrant exchange of goods. In addition to this, they offer secured loans as well as the option to purchase on credit which means that you can purchase almost anything from a Cash Crusaders store. In addition to having over 130 physical stores across South Africa, Cash Crusader’s offer an online brochure for you to view their products. This way you can view all of the great products on offer and find what you are looking for, then head down to your closest store and purchase exactly what you have been looking for. In addition to this, should you not be able to find what you wanted, Cash Crusaders will try their hardest to source what you need for you. Their website also showcases any specials that the stores have to offer. For all of you who have old, unwanted goods and you do not know what to do with them, why not take them to your nearest Cash Crusaders store and make some money off of your unwanted goods. This chain of stores also have a guarantee policy which ensures that the products that you purchase at any store is of a certain standard. So for a diverse range of products that includes electronic goods, sporting equipment, musical instruments, D.I.Y tools, photographic equipment and small household appliances and if you are looking for great prices, then why not visit your nearest store today and take advantage of the special deals on offer at Cash Crusaders stores.